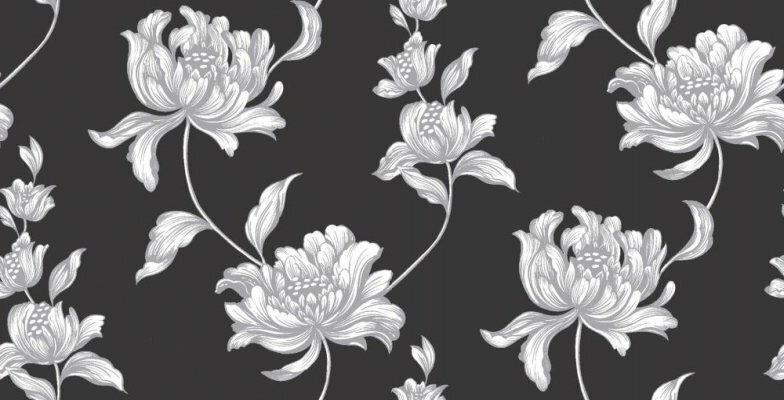 A magnificent floral vigorous and bold with just a hint of fragility showing in white and silver on black. Other colour ways available. Please request a sample for true colour match. Pastethewall product. 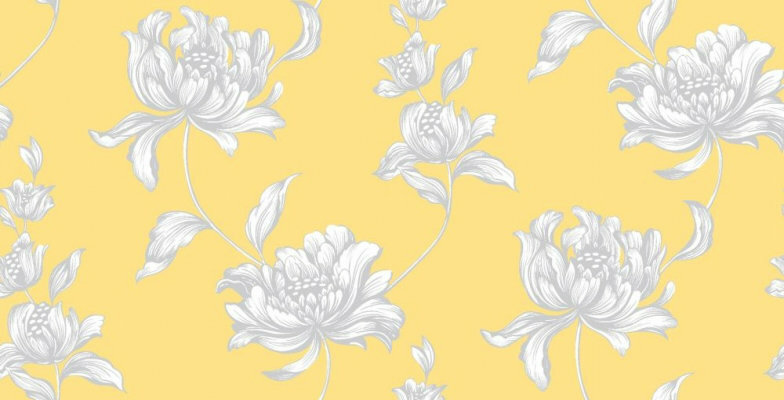 A magnificent floral vigorous and bold with just a hint of fragility showing in white and silver on pale lemon. Other colour ways available. Please request a sample for true colour match. Pastethewall product.